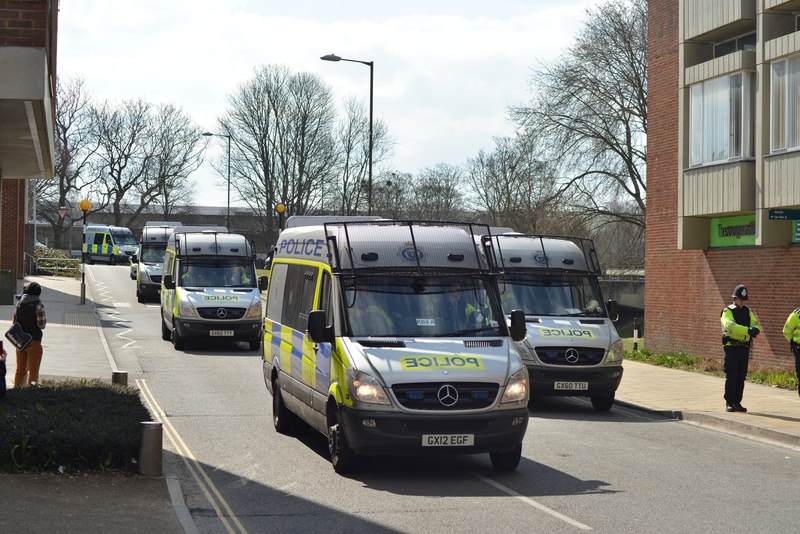 While management send in 12 riot police vans and condone the arrest of four students, academics confirm their support for the campaign and occupation. We, the undersigned faculty, researchers and students of the Centre for Social and Political Thought at the University of Sussex, would like to express our support and admiration for the Occupy Sussex campaign, which has been evicted from Bramber House by the university management. The occupiers’ solidarity with the 235 staff members who are facing the prospect of reductions in pension entitlements and working conditions because of the decisions of management is an inspiration to us all. These changes were presented to staff as a fait accompli, with no exploration of possible in-house solutions, and Occupy Sussex rightly opposed management’s plans; in doing so, and in occupying the conference centre in Bramber House, they also enacted an alternative vision of the university, one guided by principles of democratic self-management, inclusiveness and community. We therefore stand by the protesters and the 235 affected workers as they continue to oppose management’s plans. We would further like to condemn the management’s actions in seeking and being granted a court injunction which bans all protest on campus, by any persons, until 25th September. It is lamentable that, whilst maintaining all its pretenses about open discussion and dialogue, the management should have simply stifled dissent in this manner. The management’s protestation that it will tolerate “peaceful” protest is an insult to the students and workers whose right to assemble and demonstrate as they see fit has just been suppressed. A right is not a right if it waits on the decision of another. This university is not the property of the management. Without students, lecturers and support staff there is no university. We therefore also hope that today is the beginning of a sustained campaign by students and workers to undermine and repeal this authoritarian measure. This entry was posted in Blog, News, Sussex Voices. Bookmark the permalink.